Yale University Press, 9780300093148, 544pp. Abernethy identifies broad patterns across time and space, interweaving them with fascinating details of cross-cultural encounters. He argues that relatively autonomous profit-making, religious, and governmental institutions enabled west European countries to launch triple assaults on other societies. Indigenous people also played a role in their eventual subjugation by inviting Europeans to intervene in their power struggles. Abernethy finds that imperial decline was often the unanticipated result of wars among major powers. Postwar crises over colonies’ unmet expectations empowered movements that eventually took territories as diverse as the thirteen British North American colonies, Spain’s South American possessions, India, the Dutch East Indies, Vietnam, and the Gold Coast to independence. 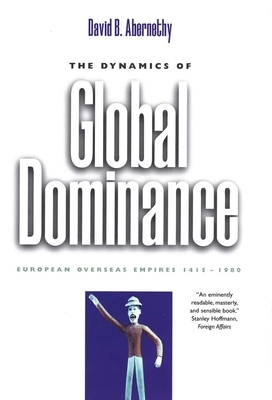 In advancing a theory of imperialism that includes European and non-European actors, and in analyzing economic, social, and cultural as well as political dimensions of empire, Abernethy helps account for Europe’s long occupation of global center stage. He also sheds light on key features of today’s postcolonial world and the legacies of empire, concluding with an insightful approach to the moral evaluation of colonialism.